It’s another cross country trip this weekend for The Dons as they travel to Paisley to face St Mirren. 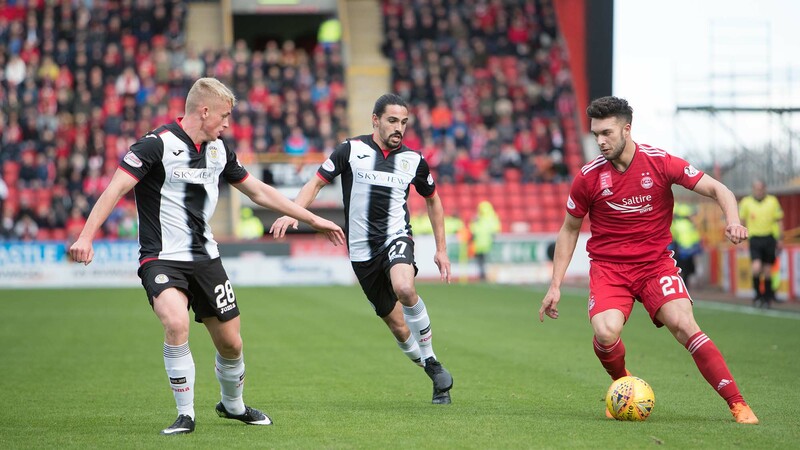 Fresh off a dramatic win on Tuesday against Livingston courtesy of Lewis Ferguson’s injury time over head kick, The Dons will be looking to take the momentum into Saturday’s match knowing they have left their best performances this season for St Mirren. 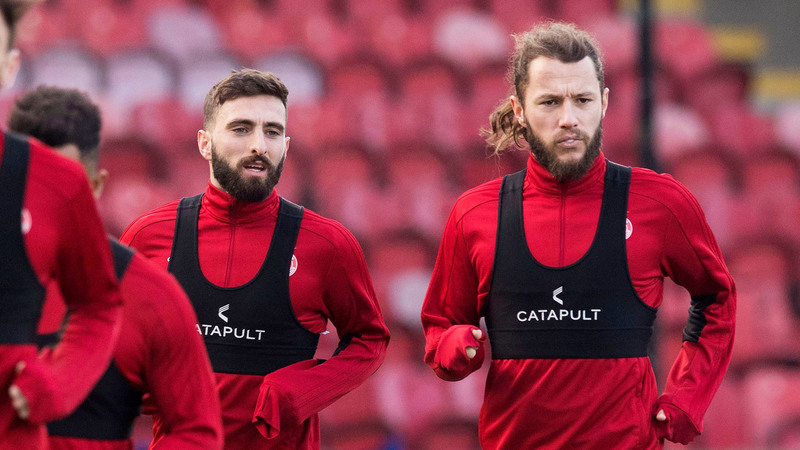 Ahead of the match Derek McInnes and Graeme Shinnie spoke to the media before departing for the team hotel on Friday lunchtime. Shay Logan and Scott McKenna also previewed the game with the Red matchday team. “A last minute winner is so pleasing and you seen the reaction from the crowd and the players with the way they celebrated. It’s no more than they deserved and it was three very important points after last Saturday and it’s three very important points available tomorrow at St Mirren. Although they’ve been struggling to get any real consistency and winning form going for themselves, three points are equally as important to them and we’re well aware of that. We’ve got to make sure we go down there with a similar intensity, similar level of performance and hopefully a similar level of outcome. “Previous sides under this manager have always been strong late in games and grabbed late winners that have got important points for us and that is what happened on Tuesday. “There is a steeliness about this side. We have shown that this season. “We have had a few days of recovery and today we are back on the training pitch. All the boys in the changing room are buzzing after scoring a late winner on Tuesday. I think it is the first time it has happened this season. “It was a game we dominated, so I think we deserved to win. It was really pleasing. So we are all really looking forward to the game tomorrow. “St Mirren will certainly be up for the fight tomorrow. They have had some good results recently. So we are prepared for another very tough afternoon. St Mirren go into this one looking to make amends from last weekend’s poor defeat at Livingston. Despite taking the lead Livi hit three without reply leaving The Buddies joint bottom of the table alongside Dundee. Oran Kearney’s side will be without the on-loan Danny Rogers as he is unable to play against his parent club and with Craig Samson leaving to take a coaching role at Sunderland they will likely give a first team debut to Dean Lynass. 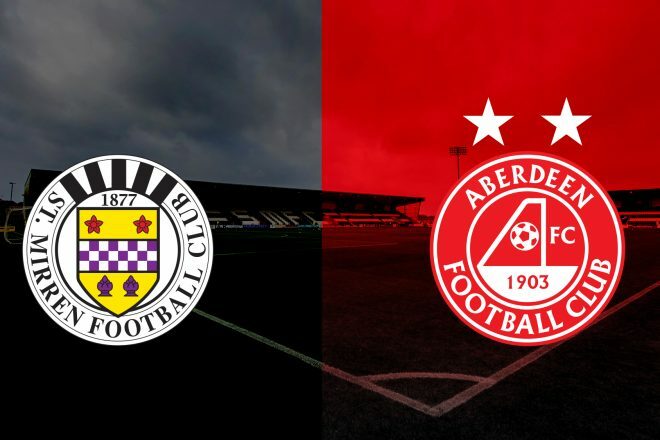 Saturday marks the 106th league visit to Paisley for Aberdeen and tenth trip to St Mirren Park, now known as The Simple Digital Arena. In total The Buddies have a slightly better record with 43 wins compared to 40 Aberdeen wins. The Dons highest margin of victory at the old Love Street came in 1958 with a 5-1 win and was twice matched with 4-0 victories in 1977 and 1990. The Dons have hold the better goal difference of three with 158 for and 155 against. The last visit to the stadium came in January 2015 where goals from Niall McGinn and Shay Logan made it eight wins in a row and even more impressively eight clean sheets in a row. 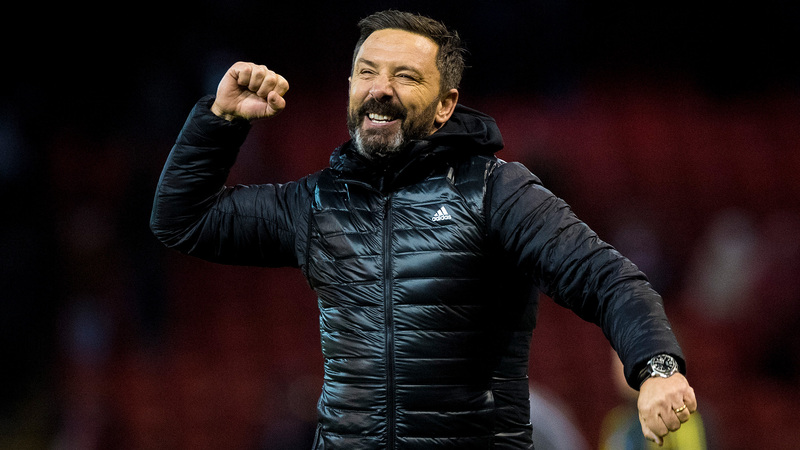 Derek McInnes has taken his Aberdeen side to Paisley four times and has come away with two wins and two draws. This season has seen The Dons save their best performances for St Mirren. In the Betfred Cup back in August The Dons were dominant from start to finish and three goals in the space of ten first half minutes from Gary Mackay-Steven, Graeme Shinnie and Stevie May had the hosts all but through to the quarter-final. After the break the game was finished as a contest as Gary grabbed his double early in the second half. 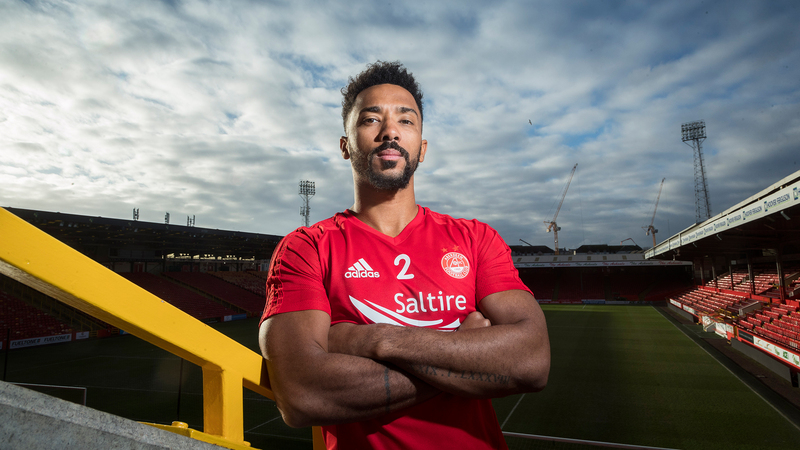 The first league meeting of the season produced another clinical performance from Aberdeen as they were able to put some new names into the club’s goalscoring charts. Sam Cosgrove’s diving header set The Dons on their way and it was soon followed up by a fine curling effort from Connor McLennan on his first start and a day after his 19th birthday. Then just before the break Max Lowe popped up in the box from left back to coolly slot home for his first in a red shirt. 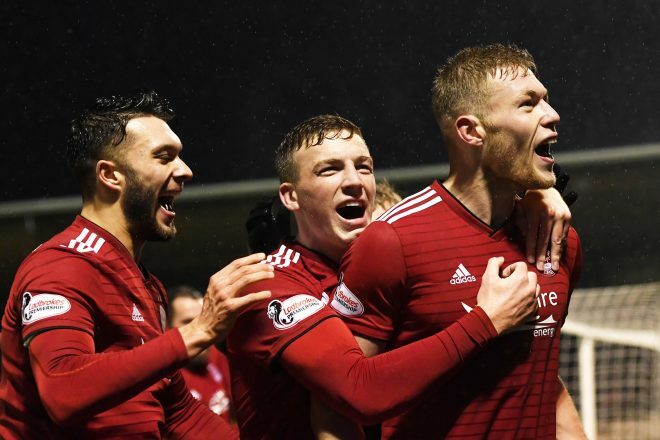 Cosgrove slammed home for his second and it would have been another perfect performance had Jackson’s consolation late on denied Joe Lewis and The Aberdeen defence a clean sheet. Safe travels to everyone heading to the match and thank you for the support. If you can’t make the game make sure to tune into our RedTV coverage from Paisley. UK subscribers can listen in from 2.45pm and international subscribers will able to view the match. Post-match we will have reaction, goal action, highlights and a full match replay. Goals either side of half-time from May and Cosgrove gave Aberdeen a deserved win in Paisley. The three points lifted The Dons to fourth in the table. Aberdeen made one change for the trip to Paisley, Connor McLennan started in place of Scott Wright. It was a horrendous day weather wise with continuous sleet and snow, but it meant the pitch was nice and slick by kick off. A lovely sweeping move on four minutes led to McLennan crossing for Cosgrove, he could not get enough on it but Max Lowe coming in behind won the first corner of the afternoon. Looking on, it appeared that the Dons had a considerable height advantage but on this occasion the home side managed to clear their lines. After the seventh minute Stephen McGinn almost found Simeon Jackson with a through ball. A short time after, former Thistle man Ryan Edwards then found himself through on goal but the offside flag went up. It looked a tight call. The game struggled to get going in the opening stages as both teams were a bit careless with their play. In the 12th minute there was room for Cosgrove about 30 yards out. He had options left and right therefore his decision to shoot was maybe not the right one as his low shot never troubled Dean Lyness in the Saints goal. On the quarter hour mark Lyness put a poor kick out straight to McLennan. The winger ran in on goal but was unable to beat the last defender and the chance was lost. Again he probably chose the wrong option as May was well positioned on the penalty spot. In the 18th minute Niall McGinn was the latest Aberdeen player to break forward, he also elected to shoot and although he caught the ball well it was always on the rise. In recent encounters between the sides Aberdeen had completely dominated the midfield area early on but there was a real battle in there today with some tough tackles flying in. On 25 minutes that man Edwards again, breaking from midfield, almost got free after a neat through ball but Shay Logan made an outstanding last ditch tackle. It had to be timed perfectly. A minute later McLennan beat his marker but his cross was way overhit. Then a minute after that the winger produced brilliant feet to win a free kick on the edge of the area. McGinn took it and went near post, he curled the ball beautifully over the wall but Lyness produced a very decent save, tipping it over as the ball was heading right into the top corner. McGinn then played over the corner from which Alfie Jones pulled down Considine and the referee had no hesitation in pointing to the spot. There was little complaint from the St Mirren player who also received a yellow card. Stevie May took the responsibility with the penalty and confidently sent Lyness the wrong way and Aberdeen into the lead. Aberdeen then enjoyed a good little spell when May and Cosgrove had half chances, but like Tuesday, the lead did not last long. Frustratingly it was the Dons who had a promising break but lost possession and eventually the home side won a free kick about 35 yards out. Adam Hammill, who has scored some stunning long range goals recently, shaped to have a crack but instead chipped in a great disguised ball which found Cammy MacPherson unmarked inside the six yard box and he fired the ball into the net. On 37 minutes a free kick out wide was flicked on by May and a Saints defender just managed to turn the ball to safety. From the corner St Mirren again struggled to win the first ball but after three challenges they eventually survived. Surely Aberdeen could benefit from a set-piece if they got the delivery right? On 50 minutes Edwards was the first player to get a shot on target in the second half but from an angle his effort was straight at a well positioned Lewis. A Shinnie tackle almost defected into the path of Cosgrove before on 52 minutes big Sam did brilliantly to shield the ball and then thread a pass through for Stevie May. The striker was one on one with Lyness but the keeper produced a really strong hand to make a very good save. After 55 minutes McLennan went down in the box as he went for a McGinn cross but the referee ignored the penalty appeals. On 57 minutes Lowe was booked for a late challenge as the Dons lost their shape momentarily. Then Hodson was booked for a foul on McGinn. Niall took the free kick and found Considine unmarked in the six yard box. The defender’s header was brilliantly saved by Lyness who somehow managed to tip the ball onto the bar but Sam Cosgrove was following up and headed the ball into the empty net. The striker’s reactions were just as good as the keeper seconds before. The striker more than deserved his goal for the all round performance. Aberdeen then enjoyed a dominant spell. For the first time they had some control of the game. They forced a number of corners and free kicks. On 69 minutes from another set-piece Cosgrove cleverly chested the ball down to McLennan on the edge of the area but his shot was pulled wide. Cosgrove had led the line superbly all afternoon. He was winning everything but also bringing others players into play. With fifteen minutes to go Jones was replaced by ex Don Cammy Smith. At the same time Stevie May was replaced by Dom Ball. On 77 minutes Hammill was booked for bringing down Cosgrove. From the free kick McGinn could not hit the wall. Two minutes later a nice move down the left – most of the Aberdeen attacks had come down the right – but on this occasion Lowe and Cosgrove found Ferguson. His low cross was spilled by Lyness but Cosgrove could not quite get on the end of it. On 80 minutes Hammill was replaced by Cammy Breadner. On 83 minutes Ball found Cosgrove but his low shot was easily saved. Aberdeen did have some defending to do in the final stages, Considine had a really good game at the back, well positioned to win everything in the air. With five minutes to go Scott Wright replaced Connor McLennan. Then Shinnie had to make a really good tackle as the Saints threatened down the right. There were some nervous moments in the three minutes of added time as the Dons could not get possession. They were forced deeper and deeper as balls rained down on top of them, but the defence stood firm. The Dons continue to move their way up the table.